Two years ago I reviewed Arch Linux. My conclusion at the time – great if you have to control every aspect of your system, but it’s not for me. I later used it on my Pogo Plug to set up a file and print server and it definitely has its merits. I know, generally speaking, that one of the best parts of using Arch is getting access to the latest software before anyone else. So I decided to take a look at a few Arch derivatives that take the work out of getting Arch installed while still having the benefits of Arch’s early access. 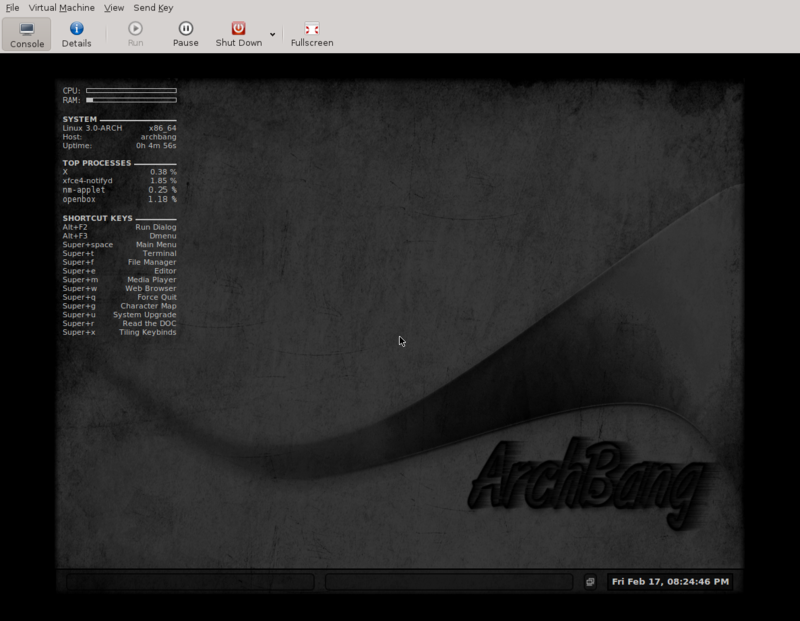 Today I’ll be looking at Archbang. 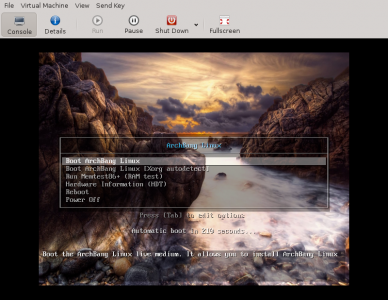 Archbang takes the foundations of Arch (early access to software and rolling release) and the visual aesthetic of Crunchbang (using Openbox). I enjoyed having Crunchbang on my laptop for a few years. Eventually I scrapped it in favor of something easier for my wife to use, but there’s definitely something nice to the Openbox look. As usual for my Linux reviews, I’m going to look at how the distro’s installation process works, their UI design philosophy, updating/installing packages, and how it compares to other distros I’ve tried. So, let’s get started! Basically you just follow the steps and it’s all ncurses dialogs. Huh, when I tell it to erase the whole disk the install just crashes. I looks like, for some reason, it’s not seeing the virtual disk. It was set in the virutal machine to virtIO so maybe that messed it up? So I change that and reboot. This time it works! So we have a system that looks like CrunchBang, but with Conky on the other side of the screen. It remains fast to boot. They have some interesting choices for programs. For graphics they have some program called Geeqie. For the web browser they’ve gone with aurora, which is apparently some Mozilla spin-off project. They also have some weird choices for the minimize, maximize, and exit buttons. Luckily they’re all in the usual spots so you can guess what to press. They also have Transmission for Bit Torrent. For Office they have some weird program called zathura I’ve never heard of. For sound and video they have DeaDBeeF for audio. 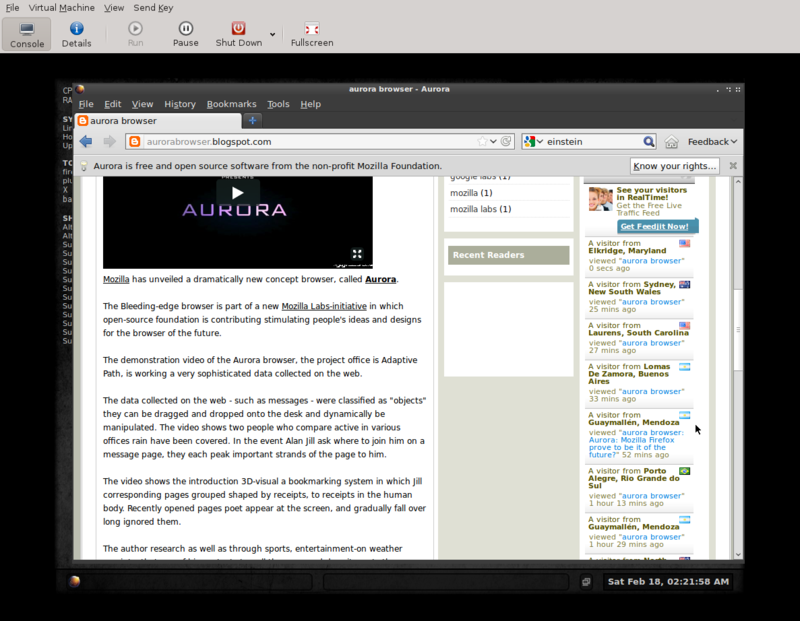 And Gnome Mplayer for video. If they have a graphical package manager or way to tell the user graphically that there’s an update, I didn’t see it. Running a pacman -Syu lets me know that there ARE updates. So apparently there’s no graphical way (by default) of knowing when there are updates to the system. So, at the end of my quicklook I’m left wondering just who I would recommend ArchBang to. I think, my intro paragraph is a good place to start. After all, at the end of this process you have an Arch system without the hassle of following the installation instructions. So perhaps, it’s a good intro to Arch to see if you like the way it can set up a system. You can also see if you like pacman vs yum or apt-get. There is definitely NO hand-holding here. It’s up to you to check for updated packages. And it’s up to you to find the programs you actually want to use – should this esoteric selection not meet your needs. I think I’d recommend it to explorers who want to keep the coast in sight. It’s different enough that you’ll gain a better understanding of your system and have a more customized experience, but it’s not the full-blown Arch experience that’s like sailing to America when you don’t know how long it’ll take you to get there. It seems well-put-together and I intend to leave it installed on my system to play with again in the future. Good job on the devs although I wonder if they couldn’t have selected a few more of the usual default programs. I like, and am using, Crunchbang. Why look elsewhere for a rolling-release, especially for a Debian distribution. 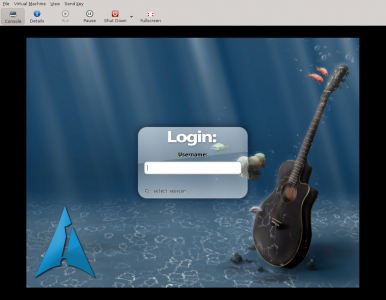 If you want Arch’s early access without all the configuration hassle, Manjaro Linux might be a better choice than Archbang. There’s also a distro named Bridge Linux that has similar goals, but I don’t know an awful lot about it.